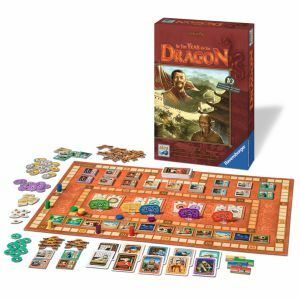 Take on the role of a Chinese prince and maximize the prosperity and prestige of your province in ancient China. Though, you cannot do this alone. Utilize the expertise of your various courtiers to protect the province from unfortunate disasters that arise month to month. 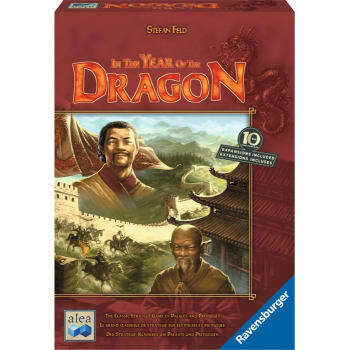 Manage your province and withstand the seemingly unending ambush of unfortunate events In the Year of the Dragon, a classic strategy game of palaces and privileges. * Tiles - 90 people, 66 palace floors, 26 rice tiles, 14 fireworks, 12 event and 8 privilege tiles; 8 action cards, 30 wall tiles, 10 "Super Events"